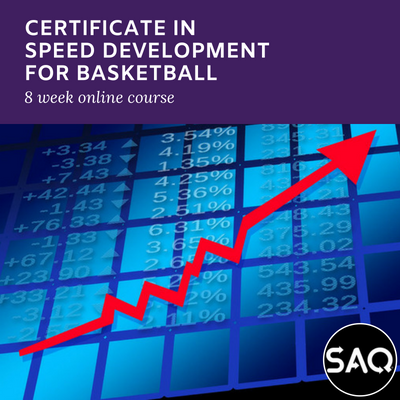 This Certificate course content covers resistance and strength training for your chosen sport – Football. The overall aim is to enhance the coach’s ability to understand strength, the various elements of strength and how to improve and develop faster reacting, faster moving and faster skill executing football players through a well-designed strength training programme. It is important for us all to recognize the part strength and resistance training plays in the development and enhancement of speed and agility for the football player as it does for athletes and players in general. This Certificate starts by looking at the history of strength and resistance training – even going back to the ancient Olympics Games where we look at the first references to progressive strength training programmes. The adaptational changes and health implications of resistance exercise are very dynamic and variable to each individual (life) and each player (sport). For long-lasting change, there needs to be a systematic administration of a sufficient stimulus, followed by an adaptation of the individual, and then the introduction of a new, progressively greater stimulus. Whether training for sports performance or health enhancement, much of the success of the training programme will be attributable to the effectiveness of the exercise prescription in manipulating the progression of the resistance stimulus, the variation in the programme design and the individualisation of the programme (Kraemer, 1994). Most recently, the positive health benefits of physical activity have gained high recognition attributable to the American Surgeon General’s report on health and physical activity. The purpose of This certificate can be used to highlight many of the physiological adaptations and health benefits that occur with resistance training programmes. Football should be regarded as a “speed and skill sport”, and while we know that there is a need for endurance training of some dimension in order that players are conditioned to last a game of high intensity, the main emphasis should be on developing the speed potential of the players. In this regards strength and resistance training should be seen as very close friends or allies of speed and agility. Up to recent times coaches looked on stamina training as being the foundation of getting teams fit and from that point, they would eventually begin developing their speed and skill. However the modern coach must look upon strength and resistance training as laying a much better foundation to fitness for field and court sports and much more favourable to developing fitter, faster football players during the playing season. In some ways we need to accept that strength and resistance development replaces endurance development as the basis of the fitness programme. 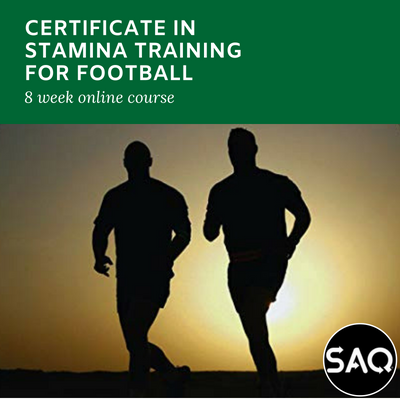 In order to understand the requirement of strength, and even more importantly, power, for the sport of football, This certificate looks at the physical fitness elements of strength and it relationship with stamina and speed. Power is seen as the connection between speed and strength and its importance on the playing field is examined in great detail. We must also examine the training methods we can use to develop power.